You are currently browsing archives for the Rules category. The justice gap has become a chasm. Almost one-fifth (19%) of Americans now live in poverty or near poverty (p. 16). These low-income individuals collectively experience about 140 million civil legal problems a year (p. 14). Fifty-five percent of those problems affect the individuals “very much” or “severely” (p. 23): that’s 77 million serious problems a year. Yet these individuals receive legal assistance for only 30% of their serious legal problems (p. 35). Our legal system fails to address some 54 million weighty legal problems a year–and that doesn’t count the unaddressed legal problems of middle-income Americans or small businesses. 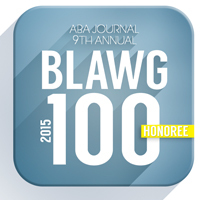 Practicing lawyers will not–and probably cannot–serve 40 pro bono clients each year. Salaried lawyers cannot take that much time away from their assigned duties; struggling solos cannot afford to offer so many unpaid services. Equally important, many lawyers lack lack expertise in the practice areas that affect low-income clients. Nor will taxpayers plug this gap. The Legal Services Corporation and other legal aid organizations suffer chronic under-funding. Indeed, they regularly combat political threats of extinction. My beloved son Daniel died in January from complications of pure autonomic failure, a rare neurodegenerative disease. Dan suffered from his illness for more than a decade; he fought his pain and disability with a lively mind and love of other people. Dan was particularly interested in legal education and the legal profession–he often contributed ideas to this blog and corrected my mistakes before I posted. Daniel also coauthored three articles with me. He was a genuine contributor to each of those pieces. In fact, after we published the first one, my father (a law professor) called me to say, “this is the best article you’ve ever written!” Clearly Dan’s influence had an impact. The bar exam is broken: it tests too much and too little. On the one hand, the exam forces applicants to memorize hundreds of black-letter rules that they will never use in practice. On the other hand, the exam licenses lawyers who don’t know how to interview a client, compose an engagement letter, or negotiate with an adversary. This flawed exam puts clients at risk. It also subjects applicants to an expensive, stressful process that does little to improve their professional competence. The mismatch between the exam and practice, finally, raises troubling questions about the exam’s disproportionate racial impact. How can we defend a racial disparity if our exam does not properly track the knowledge, skills, and judgment that new lawyers use in practice? We can’t. In the language of psychometricians, our bar exam lacks “validity.” We haven’t shown that the exam measures the quality (minimal competence to practice law) that we want to measure. On the contrary, growing evidence suggests that our exam is invalid: the knowledge and skills tested by the exam vary too greatly from the ones clients require from their lawyers. 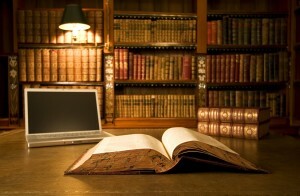 We cannot ignore the bar exam’s invalidity any longer. Every legal educator should care about this issue, no matter how many of her students pass or fail the exam. The bar exam defines the baseline of our profession. If the exam tests the wrong things, we have a professional obligation to change it. For the rest of this essay, please see aalsnews. I discuss the concept of exam validity, our lack of agreement on “minimal competence,” and how educators and practitioners could work together to solve these serious problems. The Council of the ABA’s Section of Legal Education and Admissions to the Bar has approved a hotly debated proposal to tighten the accreditation standard governing bar passage rates. When the new standard takes effect, schools will have to demonstrate that seventy-five percent of graduates who choose to take a bar exam pass that exam within two years. For more, see this story. In a forthcoming article, I discuss the ethical duty that professionals have to educate new members of their profession. The ancient Hippocratic oath recognized this duty, commanding all physicians “to give a share of precepts and oral instruction and all the other learning . . . to pupils who have signed the covenant.” Contemporary versions of the oath enforce a similar obligation, while moral and economic principles support the existence of this duty. Surprisingly, the ABA Model Rules of Professional Conduct do not recognize this duty among lawyers. This is a worrisome flaw. Without an established duty to educate new lawyers, our profession cannot effectively serve clients. Nor can we justify our status as professionals. Professions are communities rather than mere occupations–and an essential feature of those communities is their commitment to ongoing education.